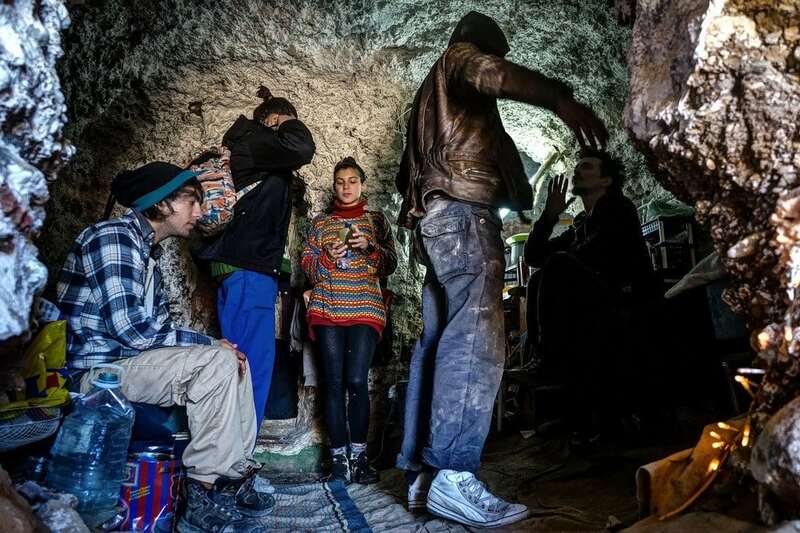 There’s a remarkable community of gypsy travelers who squat inside abandoned caves in Spain. This is my unusual story of spending the night with them. Dinner was surprisingly delicious. You’d never know it came from a dumpster. Earlier that night, my Romanian hosts Sorina & Alex disappeared for about an hour to go “recycling”. I didn’t think much of it at the time. Had I known they were out collecting free food, I would have joined them. Sacromonte is a fascinating neighborhood on the outskirts of Granada. For over 500 years, families have been living in the caves carved into hills around here. Primarily the Roma (Gitano, Gypsy) people, but also farmers. 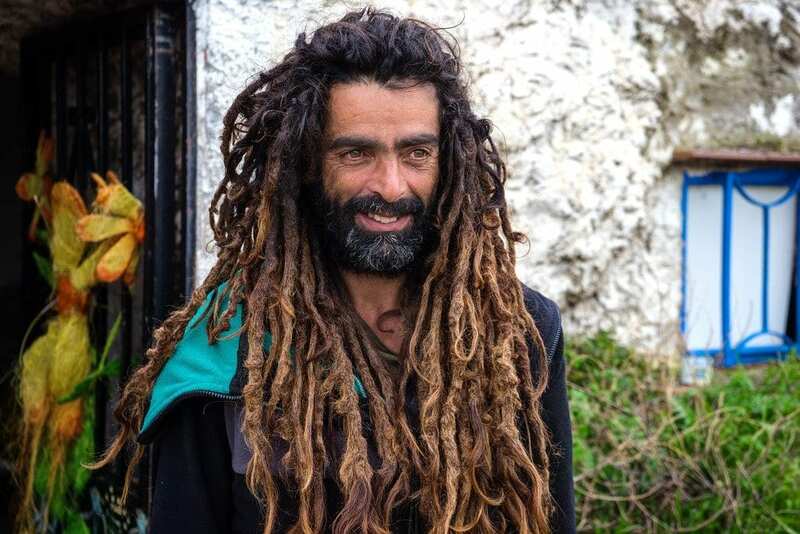 However these days another group has also moved in, a community of more modern gypsies (hippies/travelers) from all over the world. They hail from Eastern Europe, Africa, the Middle East, and even North America. 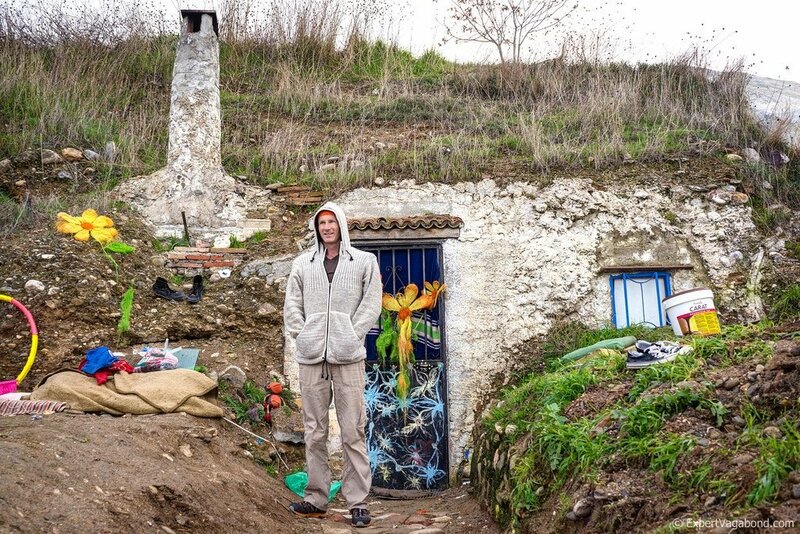 Travelers, hippies, nomads, and immigrants who have made their homes in these previously abandoned caves. It’s estimated that 30-40 of them live here full-time, while many more stay for a month or two, just passing through on their travels. Sorina & Alex are part of the latter group. Originally from Romania, they were road-tripping through Europe in a van when their driver (who possessed the special truck license needed) left the group, stranding them in Granada for a few months. I met them while walking around the community. They invited me inside to check out their temporary cave home. The cave has three main parts, or rooms, with two mattresses per section, for a total of six beds. It includes a very basic kitchen area with a gas burner, and even electricity for lights, a blender, and hot-water heater for tea & coffee. The entrance has a metal door with open bars at the top. A thick blanket covers these bars at night to help keep the cold out. They have a small fireplace inside too, complete with chimney. But the cave is surprisingly warm on its own. While there is no toilet in this cave, they share a porta-potty with the neighbors. A few open-air community bathroom areas exist too. One in particular has quite a view! Because rent is free, it doesn’t take much money to make a living here. 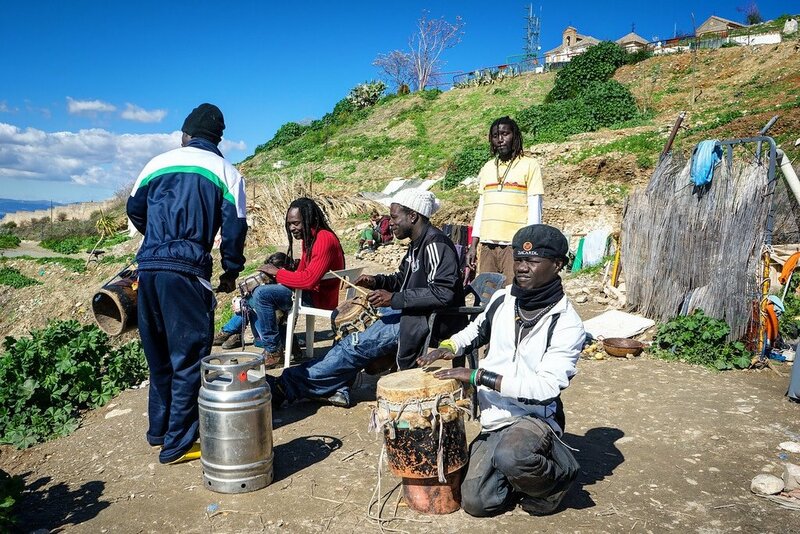 Many of the gypsies who live in this community earn income from busking (playing music) on the streets of Granada for tourists. Others use their artistic talents to create and sell home-made jewelry, bags, or other crafts. These types of activities can earn them €10-€20 euros a day. For instance Sorina makes beautiful necklaces, earrings, and bags out of colorful leather scraps she finds around town. 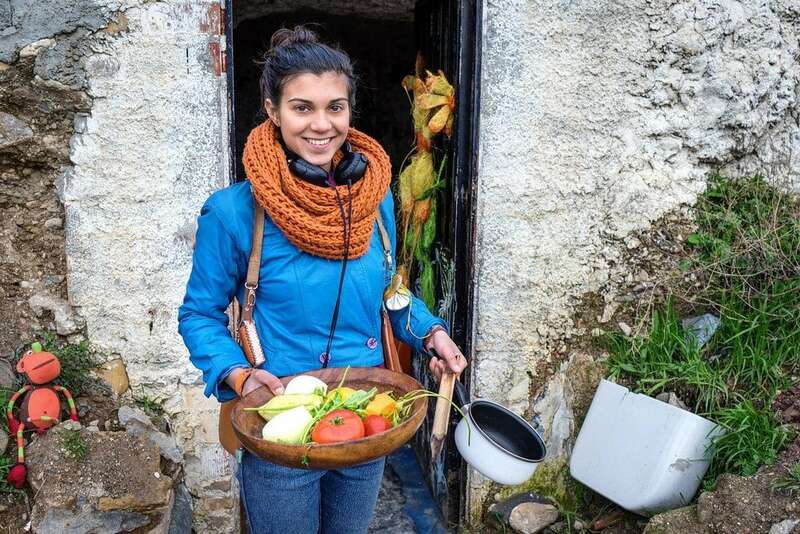 She sells her custom creations to tourists for €5-€10 each. 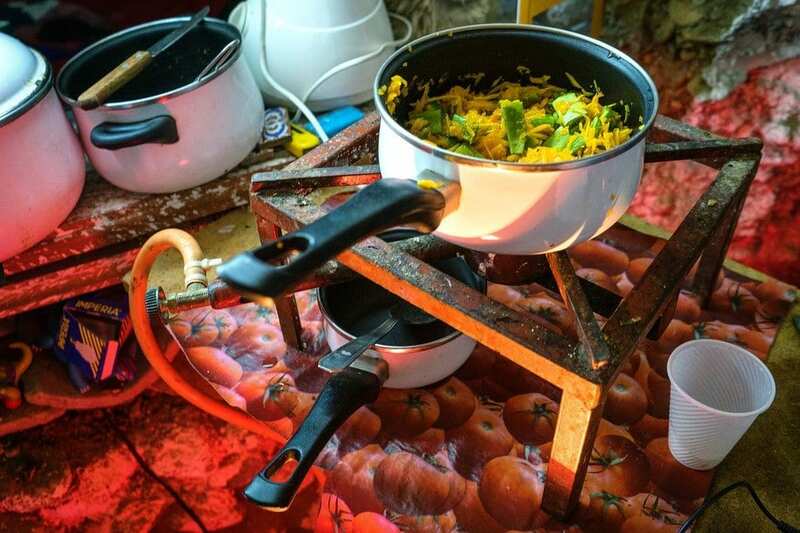 Food is often free too — like the tasty pasta, curry, vegetables, and bread they shared with me that night. If you don’t know anything about dumpster diving, it’s actually not as gross as it sounds. Supermarkets, bakeries, and produce markets throw out a lot of food every week. Most of it is edible, it just won’t sell. If you know when they throw this stuff out, it’s easy to find. Much of the food is even still wrapped in plastic! After hanging out all afternoon, they eventually invite me to spend the night with them. 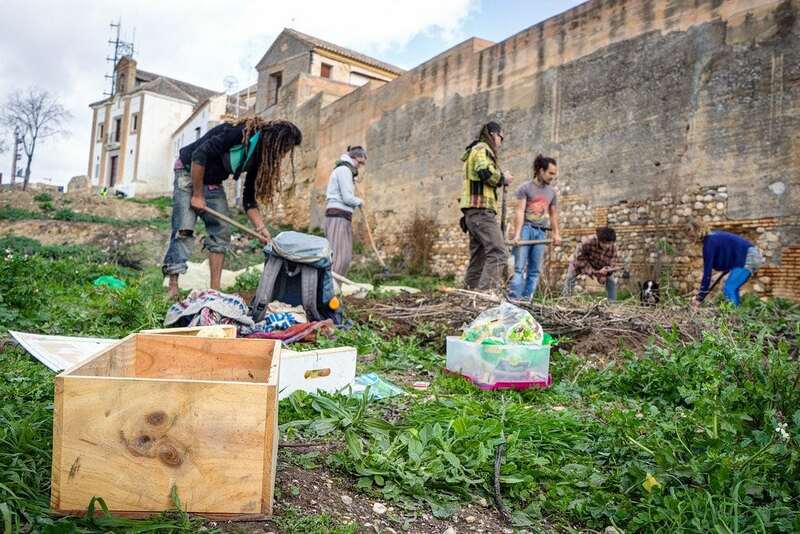 The core group consisted of Sorina and her boyfriend Alex from Romania, Iwan and his Spanish girlfriend Maria, and Luis from the Canary Islands. They’ve been living in the cave for at least 2 months. The night I showed up, four hitchhikers from Germany had just arrived too. We spent the evening eating, drinking, smoking, sharing stories and playing music late into the night, with other members of the community popping in to join us from time to time. I tried my best to understand the different conversations going on in German, Romanian, French, and Spanish. I made a fool of myself by offering a Muslim a glass of wine. I practiced playing the didgeridoo. I watched a Senegalese religious ceremony next door. I shared photos from my adventures, learned about their travels, and told them about life in the United States. The next morning I awoke from my cave bed and strolled outside into the cold air to watch the sun rise over the city of Granada down below. There were a few others up early, sharing coffee and fruit for breakfast while planning to build a community garden. I walked over and asked how I could help. The leader of the project, Manuel, handed me a shovel and we all began breaking ground. After a few hours toiling in the sun, the garden’s borders were set, a rainwater catch system was in place, and the soil was ready for planting. The residents of Sacromonte provided me with food and shelter for a night, asking for nothing in return. Helping them build a garden was the least I could do! I was sad leaving for Malaga that afternoon, as I wanted to stay longer. I certainly won’t be moving into a gypsy community anytime soon, but it was a wonderful experience. And when modern society eventually collapses? Could you live in a cave like this? Share your thoughts in the comments below! Wow! That seems quiet an interesting experience. I traveled and lived in hostels mostly. But I often fancy mountains, valleys and caves. 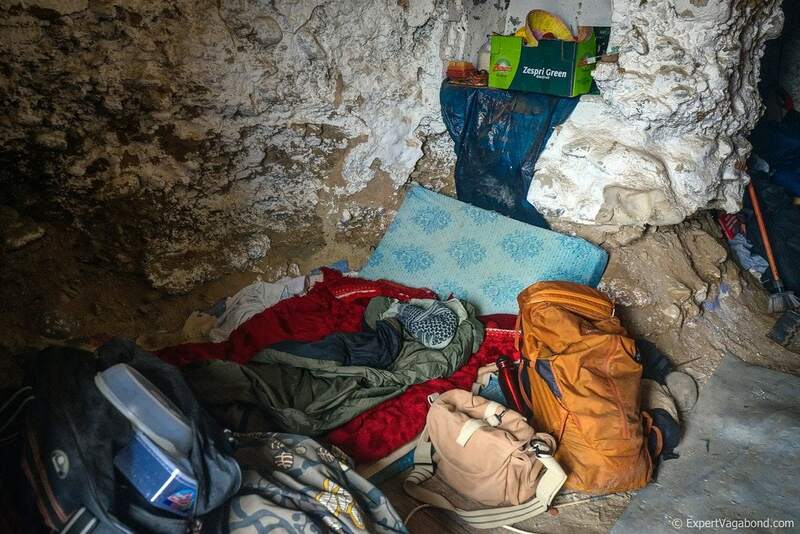 As a full time trog (Orce, Granada) I have to say this post is very refreshing compared to the usual perspectives from expats in modern day cave houses in the Altiplano – thoroughly enjoyed this read. How did you get on with the didgeridoo by the way? Very enjoyable read Matthew! This people over there must experience an incredible feeling of reconnection. A true community feeling of being needed and working closely together. I am sure you might have felt this as well. Love it man!!! I too got the experience of living in a cave. Mine was on a random island in the outer Bahamas. Got some video from it on YouTube linked through my website. Love hearing all these cave stories from other travelers like yourself! Thanks for sharing Stevie. This looks great! I’ve always wanted to live in a cave, i believe it would feel incredibly cosy and safe! great stuff! I hope to visit these dudes someday! Wow finally I’ve found someone else who’s stayed in these caves!!! Thanks for documenting your travels there! I also spent some time as a Cave Dweller there in November 1994 while travelling through Spain & France…will never forget it. We got drinking water from a church fountain a short hike away, cooked food on the built-in cave fireplace, and drank lovely cheap wine. Have always wondered what it would be like to walk those narrow paths again. Hey Daryl, that was the same time I was there – November 1994! 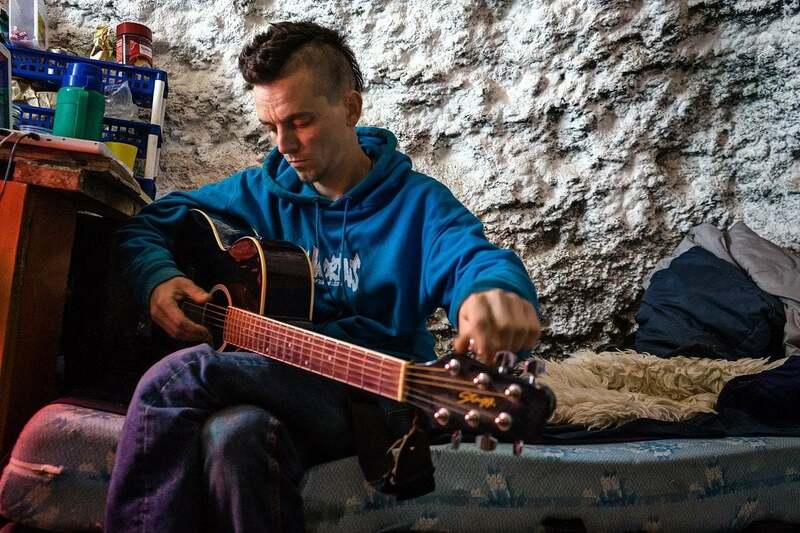 I was travelling with a Canadian called Darren Swain at the time and we cooked food on the fire in the caves, drank cheap wine and played some guitar. That’s absolutely mental! I’ve never been back but really badly wanted to revisit. Maybe I will someday. I had a great time exploring Sacromonte! The stairs leading up to there were quite intimidating at first but the cave people were friendly and inviting. Man I would love to pop a squat on the toilet… unbelievable view with the Alhambra in sight too, haha. haha. Yes, that toilet has quite a view! Best bathroom view I’ve ever seen. Not so sure I could do the dumpster diving but I feel like I could live in a cave. It seems like a very interesting way of life and an awesome way to meet some cool people with a different view on life. Hey the dumpsterdiving sounds worse then it is! I have been lving of dumpsterfood for 3 years now. Basically you eat (and wash very properly :P) what is not to beautfiful for selling anymore. I would say give it a try wherever you live! I am nowadays able to buy food but I do it out of the reason that we waste so so so much good eadible food cause it doesn;t look good enough! When the zombie apocalypse happens, I know where I am heading. You’re officially my new travel idol. You should really turn this into a feature piece for a magazine or something…truly a unique experience. This is so fascinating! Looks like you had an amazing time there. You said you met them walking around the community. Did they just invite you in when you expressed respectful interest? Indeed, with respect for other people you’re often “dropped” in extra ordinary situations. The photos are so nice, and that toilet, omg!!!! Love this story and it ‘s bringing back nice memories! Don’t stop writing and making such great pictures! this is Amazing. I was very surprised of how you got food, but it make sense that grocery stores waste a lot of food!. They do. Just because it expires, or doesn’t look quite as nice anymore, doesn’t mean you can’t eat it. Stupid. Now this food helps other people!!! in stead of rotting. I think that’s totally amazing, actually sounds a bit better than my top budget hostel horror stories. Who knew! haha. Me too! I’d choose sleeping in a cave over some hostels any day.